According to a study by the Health Management Academy, 100% of responding healthcare professionals either already are or at least intend to begin promoting telehealth services in 2018. Better, more than 70% will be receiving reimbursements for services provided via telehealth by the end of the year. That number is expected to approach 100% by 2020. And yet there are two major holdups: How to get started with offering such services and then expanding the system once it is implemented. In short, launching and scaling up. Few, if any, still doubt the usefulness of telehealth. It provides both ease of access for patients needing health and the continuity of care that allows doctors to help ensure the best possible patient health outcomes. 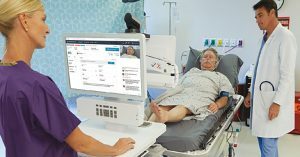 Telehealth also helps lower costs by avoiding unnecessary emergency department visits and reducing unexpected readmissions, among so many other things. That is, there are no reasons not to do it. So how do you get started? At the risk of a truism, you just do it. There are dozens of quality smart device apps already available that meet FCC HIPAA standards for privacy. Younger patients are already using them and older groups are also increasingly comfortable with technology. If you want the full telehealth carts for use in your office, there are programs available to help pay for it and the FCC has proposed an expansion to make this step easier and less expensive. So, if you choose one route or both, there are plenty of inexpensive options already available. Scaling up will involve a bit more in-depth work to do it right. What do your current patients’ need? What are their likely future needs? These and other important considerations must be taken into account when deciding on how to expand your current telehealth offerings. Fortunately, there is already a standard of interoperability and cybersecurity from the FDA. 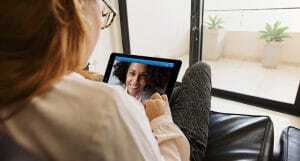 This means that all telehealth services and devices must be able to speak to one another and share information quickly and accurately over secure connections. A hypothetical: You have a group of patients with mostly the same needs. So, you have purchased one telehealth cart with that in mind. Now, an older local practitioner has retired and you have taken on many of their patients, who have very different needs from your original group. A second telehealth setup for them may be necessary. If so, the two machines will be able to share information back and forth, or with apps on patients’ smart devices, as if they were one device. In many cases, though, this will not be needed. With a software update and perhaps a few new peripherals, some with price tags as little as $10, your original machine can now work for everyone. And, if needed, a small clinic’s telehealth devices can connect to those run by specialists or at full hospitals should emergency or other acute services be needed. So, while scaling up is already comparatively easy, it may not even be necessary. But finding out for sure will require some mental legwork. 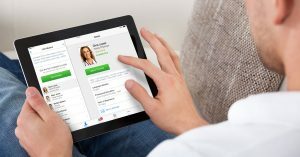 Regarding launching telehealth services, your patients are probably already started in that direction. For scaling up, the process is mostly simple, relatively inexpensive, and requires only a bit of research. The only people who stand to lose out are those healthcare professionals who do nothing.